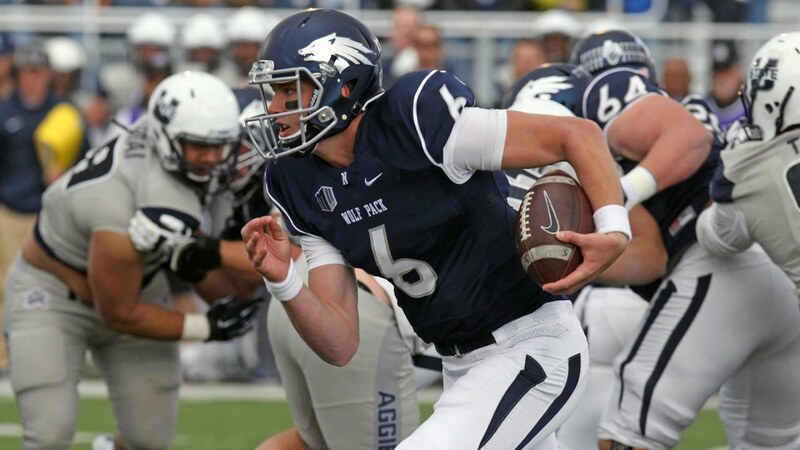 In each of the last three games, Nevada has exceeded 40 points behind Ty Gangi and running back Kelton Moore. Over the last three weeks, the Wolf Pack signal caller ranks fourth among fantasy quarterbacks with 106 points, scoring 38, 38 and 30 in consecutive games. During the hot streak, Gangi has passed for 935 yards, tossed 10 touchdowns and scored twice on the ground. Nevada has marvelous matchups at home against San Jose and UNLV during the fantasy playoffs. If you need assistance at the position, Gangi can provide help. Coach Lane Kiffin’s club opened the 2017 campaign poorly; nevertheless, the Owls are now soaring and rank 22nd in Total Offense. Kiffin’s team averages 485 yards and 39.1 points per game. In the last two contests, quarterback Jeff Driskel has passed for 454 yards, rushed for 160 yards and totaled seven touchdowns. Driskel led Florida Atlantic to a Conference USA-record 804 total yards in the Owls 60-31 victory Saturday. The next two games the Owls play Western Kentucky and Marshall, and the 6-foot-2, 210-pound junior will keep the offense flying. Without much attention, Shamari Brooks has become one of the best freshmen in the country. The 5-foot-9, 185-pounder was overlooked because of his lack of prototypical size coming out of high school. Even the coaches expected to redshirt the 19-year old this season. But his performance on the gridiron forced the staff to change their plans. In three consecutive games, he has topped over 100 yards rushing, totaling 379 yards and scoring five times. Averaging 262 yards game, the Golden Hurricane have the ninth best ground attack in the nation with 2,096 yards and 28 touchdowns. The Tulsa ball carrier remains available on many waiver wires and is worth grabbing. Another freshman rising to the challenge in college football, Tyler King has earned double-digit carries in all five games played and has rushed for over 70 in each of the last three. He recorded a career-high 129 versus Middle Tennessee on Saturday. In the last two contests, King has scored three times and averaged 5.7 YPA. The Thundering Herd plays Florida International and Florida Atlantic in the next two weeks, which bodes well for continued success for King. Coach Pat Narduzzi’s team could not generate a consistent ground game during the first seven weeks of the season, and the backfield has been a quagmire for college fantasy diehards. Darrin Hall, a junior, may have finally emerged from among the backfield faction as the top candidate with 254 yards and three touchdowns against Duke. He scored from 79, 92 and four yards out: The 92-yard scamper set a school-record for longest play from scrimmage. Hall should be acquired on rosters this week for the playoff stretch run. The Blue Devil’s receiver grades out among the best at his position (11th) over the past two weeks in college fantasy football. Rahming has 16 catches for 253 yards and a touchdown. The junior has been inconsistent this season with four games under five points and four outings over 10. If desperate, Rahming is worth looking at over the final month of the 2017 crusade. The Huskies employ one of the best passing attacks (#22) in the nation, throwing for over 300 yards per game. Mayala missed time with injuries and has essentially only played in four games. In three of those outings, he has produced over 20 fantasy points. The 6-foot-2, 203-pound junior has reached the end zone five times on 19 receptions, and clearly, he is the best performer among the wide outs. The remaining UConn schedule suggests high-scoring contests, and quarterback Byrant Shirreffs will often target Mayala. I usually do not list tight ends on the weekly Gemstones list; however, Dalton Fackrell deserves a mention. The senior has produced three straight games with over 10 fantasy points and scored four consecutive weeks. Fackrell, an under-appreciated asset at the tight position, merits a long look by astute fantasy owners.